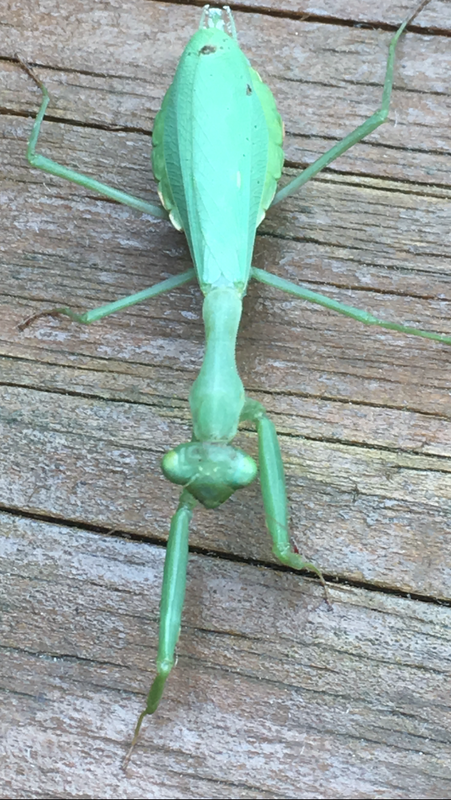 We have had a few Praying Mantis around lately. I would expect to see them in the garden, but I am finding them attached to external doors, and yesterday's visitor was on the deck and seemed intent to head towards the house. I guess it is warmer inside. Interesting fact - the female Praying Mantis can lay from 100 to 400 eggs at a time - I hope her labour pains aren't too intensive.